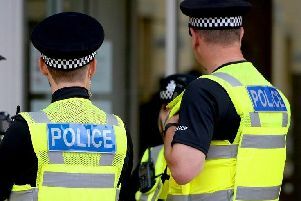 Police in Harrogate are using sniffer dogs to target drug users in pubs across the town centre after receiving intelligence of a ‘large scale issue’. On Saturday, May 28, police used a ‘passive’ drug dog in pubs across Harrogate town centre; trained to sit next to a person who smells of drugs. A small amount of cannabis was seized from a number of individuals during the operation which has been mirrored before in Harrogate, as well as Knaresborough and Ripon. PC John Trueman, beat manager in Knaresborough, explained the operation was launched after information from the Pub Watch scheme revealed a major drug taking issue in Knaresborough. However, after speaking to colleagues across the district, the officer decided to bid for funding to launch the operation after learning the problem was a ‘unilateral issue’. He said: “Licensees in Knaresborough told me they had already barred a number of people that they had caught taking drugs in their premises. “We hired a private company and a drug dog and the operation has been well received by the licensees. We also found that the toilet area in almost every premises had traces of drug use. After searching more than 20 individuals during this operation, police recovered small amounts of cannabis from people who received warnings and an arrest was made after cocaine was found in Knaresborough. Police also discovered packets of spice, a former legal high, in Harrogate’s Library Gardens and warned that they would be conducting more operations across pubs in the near future. Earlier this month, the Advertiser revealed that a new Harrogate Cannabis Social Club had been formed to join the fight to legalise the drug and ‘ensure and encourage’ the safe use of it by residents. Despite the group claiming that police forces in Harrogate treated users with respect, PC Trueman insisted that officers would continue their zero tolerance approach when it came to all users of illegal drugs.